Buford and Bonnie have a small orchard, several berry plants, chickens and alpacas everywhere. On the weekends they sell produce at the local farmers market. Their operation has been growing every year. Will Buford and Bonnie’s homeowners insurance cover them? Farming is not generally covered under your homeowners policy. Depending on the insurance company and size of your farming operation, if it’s small enough, you might qualify for an incidental farm endorsement to your homeowners policy. An incidental farming endorsement would extend coverage to farm outbuildings, farm personal property, and farm liability. Farming is a business. Homeowners policies aren’t designed to protect businesses or farming. You may be walking a fine line if you’re running a hobby farm. What happens when the eggs Buford and Bonnie sell at the farmers market cause food poisoning? 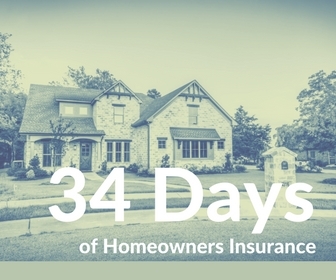 Have a conversation with your insurance agent. Make sure he/she has a grasp on your hobby farm operation. Your relationship with your agent is priceless.